After much mystery and rumor the true story of the origin and evolution of The ZONE has finally emerged. Possibly in attempt to reach out to the stars and contact beings from other worlds, this civilization created sophisticated time travel entry portals. It is one of these portals that was discovered in San Diego in 1995. Initial exploration of the city found it to be mechanically fully functioning but completely devoid of all sentient life forms. In other words -it had been abandoned. Three intricate base stations were discovered, each designated, for reasons unknown, by a distinct color. The Red Base Station is a thermal generator responsible for all power to the city. The Blue Base Station is a water purification structure. Finally, the Yellow Base Station is a complex air handling edifice that seems to capture, purify and hold the underground atmosphere. Certain vantage points reveal that the city is in what seems to be a massive underground cavern. The atmosphere, while breathable is filled with a type of fog, and the light source is ultraviolet resulting in an eerie nocturnal environment. 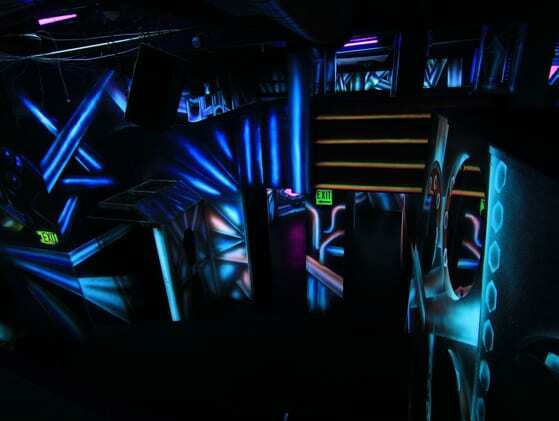 Entrance into the base stations of the laser arena engages an audible warning system against intruders. While nothing is certain it appears there were great struggles among 3 distinct tribes to capture the base stations thereby ultimately controlling the city. More advanced exploration revealed that the original inhabitants had left behind highly sophisticated electronic sentries or “Sentinels.” Ostensibly serving as guards against invaders, once activated, the Sentinels release powerful green laser-like beams that immobilize those hit for a brief period. Shortly following the end of the 20th century, another shocking discovery was made. An entity, perhaps an indigenous species, but more likely an invader captured and then abandoned by the original inhabitants, was found caged in a bizarre maze-like area. While still trapped, it remained armed with a laser-like device that sweeps large areas with a powerful green beam that can immobilize those on the receiving end of its piercing swath of light. In September of 2013 the portal to the subterranean city mysteriously closed for a period of 5 days. Bizarre light patterns and sounds of collapsing structures were all that were evident. It was feared that San Diego entry point was lost forever. Then on the morning of September 13th the portal opened but seemingly to a parallel city. Some parts of the city seemed similar to the original ZONE but much more alive. The Base Stations remained but the city no longer required their use for life support. The Sentinels and caged entity remained but had been transformed into more powerful laser devices with additional defense modules capable of capture that emitted invisible laser fire. A partially reconstructed diary referred to these as a Cyborg and Particle Accelerators. Never encountered before are a staggering network of highly advanced elements including dozens of sparkling discs suspended above as well as several interactive identity recognition computer modules. These new elements provide special powers, seemingly to assist players in conquering the city. While more will certainly be revealed, the scope of these new discoveries borders on overwhelming. A time-space portal to a distant realm, an amazing underground city of the far future, advanced development, powerful electronic guardians, a trapped entity of unknown origin, sparking energy discs, interactive computer modules . 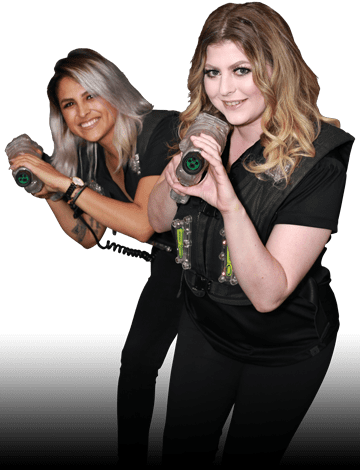 All of which equal a truly amazing laser tag adventure. Of course, thrill seekers continue to flock to the newly evolved ULTRAZONE to engage in their unique moments in The ZONE. Arriving in small groups and sometimes in groups of up to 36 at one time they eagerly await their adventure. This thrilling experience is now of course quite common to the degree that over 3 million people have made the journey into The ZONE. Now you must ask yourself are you the next traveler ready to feel the thrill? Is it your time to Enter the ZONE? We who have made the journey await your good company.